As a frequent international traveler, it’s important to overcome jetlag quickly at my destinations to maximize productivity during these visits. That’s easier said than done, especially as I get older. Recently, a colleague at Alterian told me about a BBC special that explained how our human brains have a second “feeding clock” that can override our “master clock” when food is scarce. This is to keep us alert until we find food as part of our survival makeup. In theory, then, avoiding food for long periods of time (ususally 12-16 hours) can reset our “feeding clock” while our biological clock can only adjust a little each day. 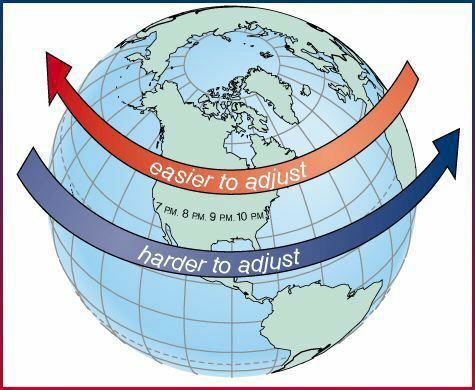 By not eating on long flights, therefore, you should be able to adjust to new time zones (resetting the feeding clock) more quickly. I’ve tried fasting on my last trip from London to San Francisco and on my current trip from Seattle to Ho Chi Minh City. From London, I was on Air France, which meant I flew to Paris first, then connected on a non-stop flight to San Francisco at 10. On the 11-hour flight to San Francisco from Charles De Gaulle Airport, I refused food which concerned the French flight attendants who promised to save a meal for me in case I changed my mind. Upon landing, I was plenty hungry and gorged on sushi. I was meeting my wife to celebrate our anniversary so I especially didn’t want jetlag to show me down. That first night, I slept almost six hours straight (pretty good). For the next few days, I did get tired late afternoon when it was night time back in London. However, I made sure to keep eating at the appropriate meal hours and I never hit that proverbial jetlag “wall”. Last week, I took a 12-hour flight from Seattle to Taipei, then a three-hour flight to my final destination Ho Chi Minh City. On the long first lag, I again refused food. It wasn’t too difficult since that flight left at 2am Seattle time. I slept for eight hours straight. I ate upon arriving in Taipei. I got into HCMC around noon and made it to the office for a 3 pm team meeting. I was alert and engaged until around 7pm when I did hit a wall. I passed on an Oktoberfest event, headed straight to the condo, made sure to pick up take out food and crashed right after eating. I woke up at 3 am and struggled to sleep the rest of the night. Adjusting in HCMC, which is 14 hours ahead of Seattle proved to be a little more difficult. By the third day, I started feeling pretty alert for most of the day to early evening. I believe that the strategy of fasting on these long flights do help in adjusting to new time zones. However, your body still has a biological clock that just needs time to adjust, so there is no magic method that can help completely avoid some form of jetlag. I recommend people trying fasting on long flights (up to 12-16 hours if possible). If nothing else, it helps you realize how much you are over-feed on an international flight. One caveat is that it is always harder to adjust to a new time zone flying east than flying west. Both these examples are of flying west, so I may have further input after flying home east. Posted in Digital Marketing, Travel, Uncategorized and tagged jetlag, Travel. Bookmark the permalink.